Youngsters shouldn't have the monopoly on fun when it comes to taking a vacation. 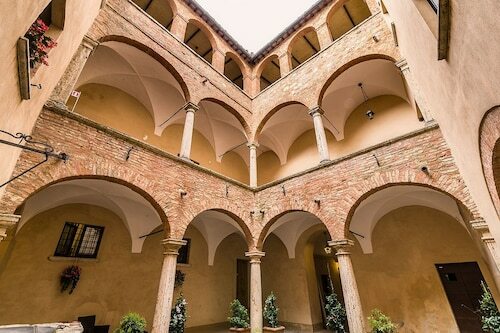 Indulge in a little adult-orientated entertainment at Consorzio del Vino Nobile di Montepulciano. 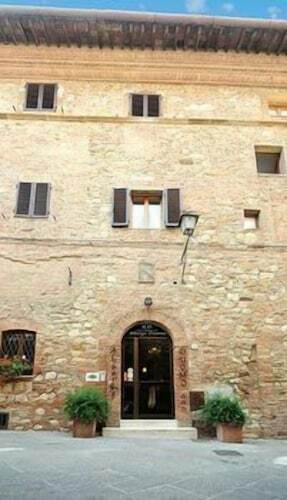 You'll locate it in Montepulciano, which is approximately 90 miles (145 kilometers) outside of the national capital, Rome. 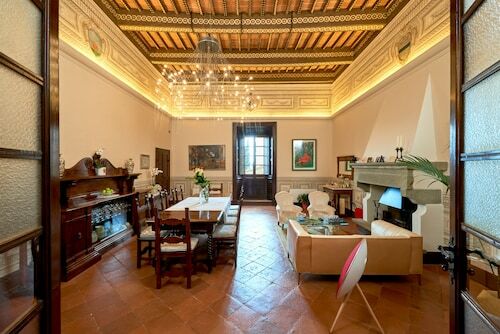 There's a massive selection of accommodations within 2 miles (3 kilometers) of Consorzio del Vino Nobile di Montepulciano. Out of roughly 25 candidates you'll definitely find something that fits the bill. The Il Tosco is just 0.1 miles (0.2 kilometers) away. 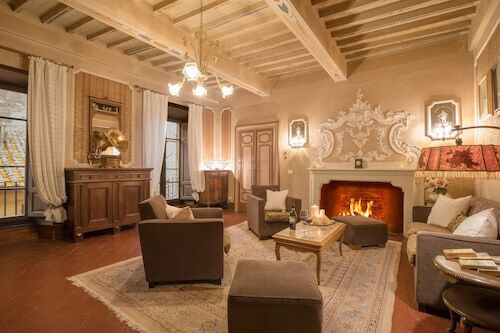 If that's not what you're looking for, the Palazzo Carletti and the Etruria Resort & Natural Spa are located 0.07 miles (0.11 kilometers) and 0.7 miles (1.1 kilometer) away, respectively. You don't always have to shell out just to get a good night's rest. The area's many value hotels will be sure to provide you with all the amenities you need. 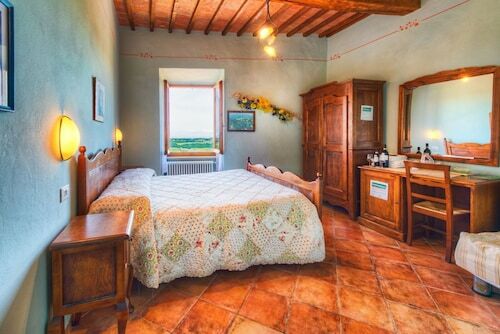 A couple of excellent establishments are the Fattoria San Martino and the Bed & Breakfast Vicolo dell’Oste, only 0.8 miles (1.3 kilometers) and 0.1 miles (0.2 kilometers) away, respectively. After you have made your way through all the attractions, spend the night at one of the few top-notch hotels that are a short drive away. 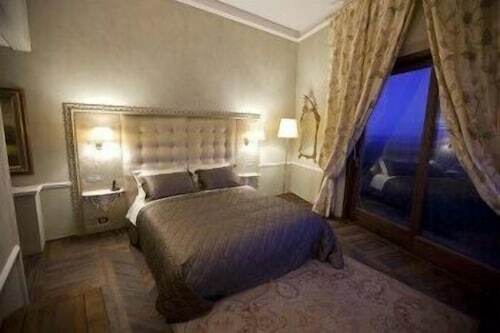 Rooms at the Alexander Hotel Palme and Hotel Rotelle are ideal choices. Bar Gelateria Duomo is a popular location for a hot beverage or a tantalizing treat. 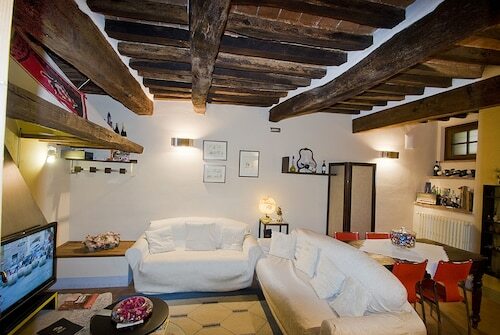 It's just a brief stroll from Consorzio del Vino Nobile di Montepulciano. For those wanting something more substantial, Ristorante Ai Quattro Venti is also close by and has a range of tasty meals. 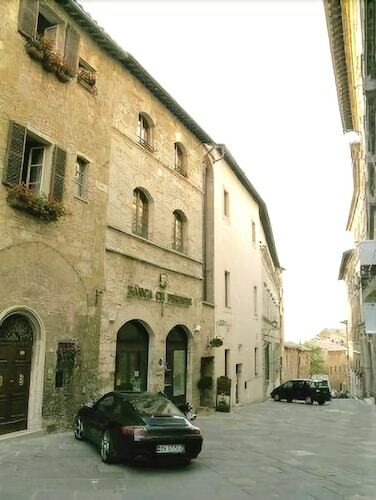 As the sun is going down, you might wish to make your way down the road to Osteria del Borgo for a drink. Your group will appreciate a spicy and sweet journey through the local flavors that can be tried at Cantina Contucci. 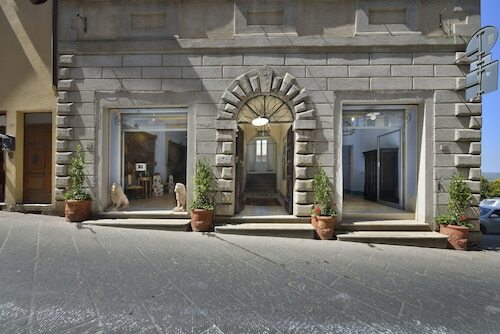 Find some time to admire the historic greatness of Piazza Grande, a significant piece of local heritage. You'll enjoy some inspiration, as well as education, at Civic Museum, which obtains, preserves and showcases art to help contribute to the culture of the community. 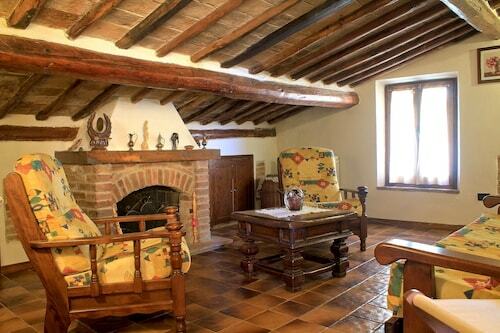 If you become lost at any point in your adventures, try to see Torre del Pulcinella, a significant icon in the area. Be sure to visit Torre di Pulcinella, a towering landmark you're not likely to miss, to learn a bit about local history. 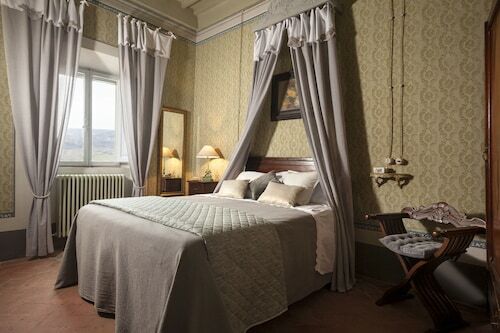 How Much is a Hotel Room in Consorzio del Vino Nobile di Montepulciano? 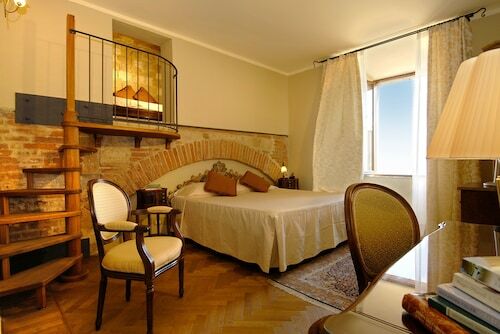 Hotels in Consorzio del Vino Nobile di Montepulciano start at $78 per night. Prices and availability subject to change. Additional terms may apply.